The Perth Mint Unveils Shining New Design of the Lunar Dog characterised by outstanding craftsmanship, iconic artistry and assured purity, The Perth Mint has revealed Australia’s official bullion coin program for 2018. 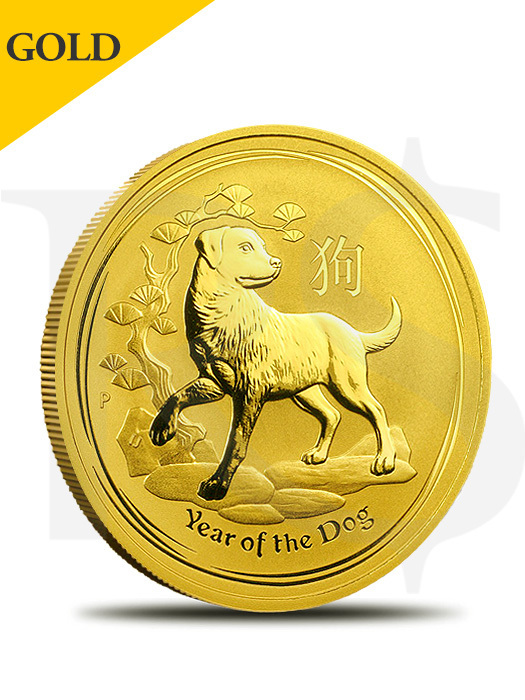 The Australian Lunar 2018 Year of the Dog Gold Bullion Coin Series is available in multiple sizes and mintages. Production of the coins with unlimited mintages will close at the end of 2018 when The Perth Mint will declare each coin's official mintage. 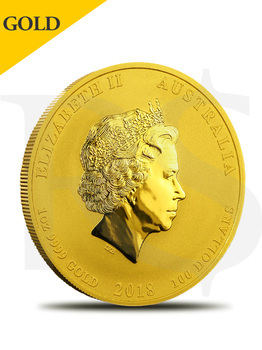 A maximum mintage of 30,000 1oz gold coins applies. Production will cease when the mintage is fully sold or at the end of the series, whichever comes first. Each coin comes in a protective plastic capsule. Multiples of 20 typically come in sealed rolls. Multiples of 100 are packaged in a sealed box. Mintage of no more than 30,000 pieces. Reverse: Depicts a Labrador Retriever on rocks with a stylized pine tree in the background. 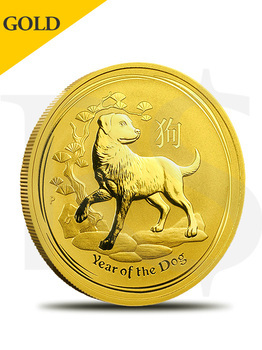 This beautiful lunar design also incorporates the Chinese character for "Dog", the inscription "Year of the Dog", and The Perth Mint's traditional "P" mintmark.